The jackpot has now reached an all-time world record! Tuesday’s October 23 draw will be an astounding $1,600,000,000!! Get your Mega Millions lucky ticket now! This Friday’s Mega Millions jackpot draw climbs to an incredible $970 MILLION. The current jackpot has been growing since July 24. Tuesday’s drawing was the 22nd time no one matched all six numbers. Sales are going through the roof. People anywhere in the world can buy tickets with Lottotickmaster. Don’t miss your chance and get your Mega Millions lucky ticket or try your luck with the upcoming Powerball jackpot draw of $470 Million this Saturday. The largest sum ever recorded with Mega Millions was $656 million, which was shared by three people in 2012. 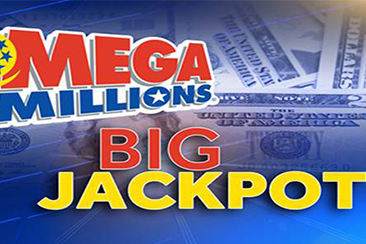 The odds of winning the Mega Millions jackpot is reportedly one in 258.9 million.